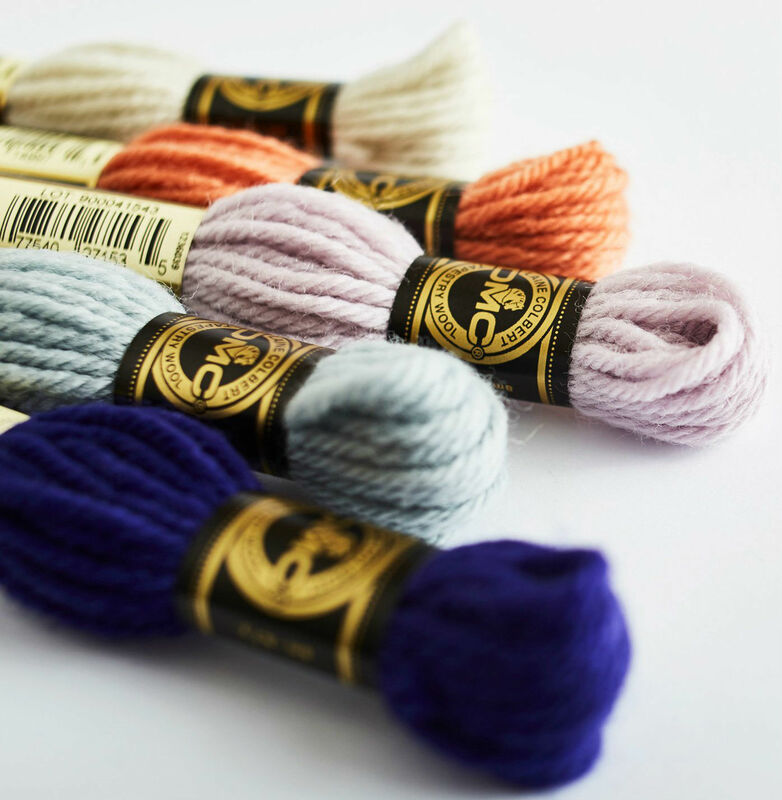 Made from 100% virgin wool, DMC Tapestry Wool is a deliciously soft, smooth non-divisible yarn. It's twist and thickness give it excellent canvas coverage and provides a smooth and even texture. This is the perfect material for all of your decorative needlepoint projects. Use it to embellish pillows, chair sets, wall hangings, pictures, or even wardrobe accessories like bags. This combed and twilled wool is both moth-proof and colourfast. Choose your colour and let your imagination wander.